Cystic acne is a condition characterized by hard, painful cysts that occur below the skin. These form as pores become clogged and eventually rupture due to the pressure of excess skin oil. 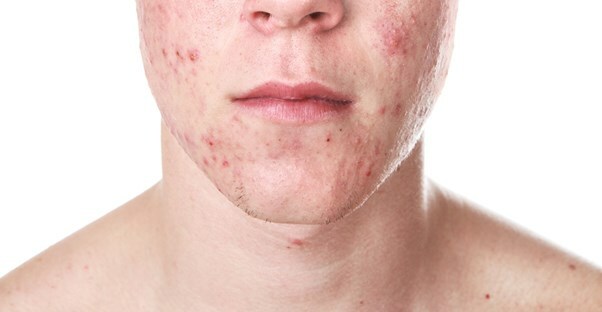 While it is related to other forms of acne, it’s generally considered the most severe and difficult to treat. Most people find that traditional, over-the-counter acne products provide little relief from symptoms, and therefore more powerful prescription products are normally necessary. Here is a look at five different treatments that have been proven to alleviate, and in some cases completely eliminate, signs of cystic acne. For women, birth control pills can be a good first step in treating cystic acne. The hormones present in birth control can help regulate the presence of the hormone androgen, which is commonly considered the underlying, internal cause of the condition. Additionally, when compared to other treatments that deal with cystic acne, birth control’s side effects are relatively mild. They include nausea, weight gain, or breast tenderness, and for most women they will prove to be a minor inconvenience at worst. Isotretinoin is a form of oral medication that reduces the skin’s production of oil, thereby lessening the effects of cystic acne. While it considered one of the most effective forms of treatment for cystic acne, it’s also the most controversial. There are numerous side effects associated with the drug, including some that are extremely severe and possibly permanent. The most common ones include dry skin, headaches, fatigue, joint pain, and nosebleeds. However, in rare cases, suicidal thoughts, depression, liver damage, pancreatitis, birth defects, permanent acne scarring, and severe abdominal pain may also occur. Because of these side effects, there are heavy restrictions placed on doctors who prescribe this medication. In the United States, only dermatologists can prescribe isotretinoin, and before doing so they must register their patients with a regulatory website run by the FDA. Because of the risk of birth defects, women who are prescribed the drug must have proof of using two different forms of contraception for the duration of their prescription, as well as a month before and afterwards. In order to prevent the rupture of new cysts, acne patients may undergo a series of corticosteroid shots that can help lessen skin inflammation. While the injections themselves may be painful, they can provide long-lasting relief from the pain of pressure buildup within three to five days of the treatment. These injections are available by prescription only. Antibiotics have been a mainstay of acne treatment for many years. Certain forms of bacteria play a role in the development of a condition, and these medications can help keep them in check. While this method can be effective, over time the acne-causing bacteria may develop a resistance to the medications used, at which time patients will have to switch over to another kind. Some medical professionals dissuade cystic acne patients from using antibiotics because of this risk of antibiotic resistance, which can make it more difficult to treat more serious bacterial conditions in the future. Cystic acne is too severe to be completely cured by home remedies, but maintaining a good skincare regimen can help keep symptoms from being worse than they have to be. Regular exfoliation can help remove dead skin cells and help keep pores unclogged, but performing it too much may lead to skin irritation and inflammation that actually makes the acne worse. Additionally, gentle skin cleansers can also improve the skin’s appearance—however, it’s best to avoid oil-based products, as they may clog pores more than they already are.